What's in a name? Grant rescinded to Israeli Arab director over film 'Villa Touma,' after she presented it as 'Palestinian' at festivals. Director Suha Arraf was ordered to return a grant of 600,000 shekel ($157,115) she received from the Economics Ministry for the production of the film 'Villa Touma,' on Wednesday, after introducing the film at international film festivals as being from "Palestine." 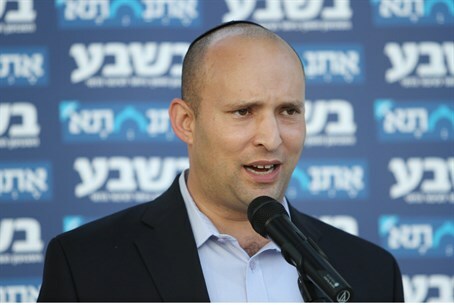 The decision to retract the grant money was made by the Economics Ministry, under the close supervision of Economics Minister Naftali Bennett (Jewish Home) and the director of the Small Business Agency, Ran Kiviti. Both determined that Arraf had violated the terms of the grant in declaring the film as "Palestinian." Arraf will be required to return the money within the next several days, but will be given the option to spread the debt out over time to avoid collection proceedings being filed against her. "You can not take state money and then spit in its face," Bennett said acidly after the announcement was made. "The director, who felt completely Israeli when requesting the grant, suddenly remembered she was 'Palestinian' upon putting it to use." "This is unacceptable, unfair behavior which, after a legal examination, did also not adhere to terms under which the grant was given," he added.